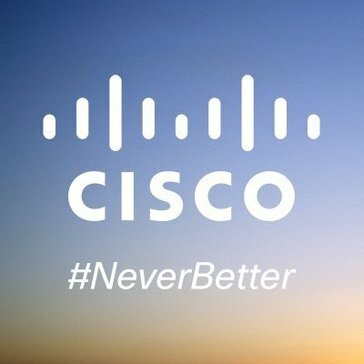 Work for Cisco Security Services? Learning about Cisco Security Services? "Cisco AnyConnect Secure Mobile Client is reliable"
Working in the healthcare industry with an infinite amount of sensitive information, I feel safe using Cisco Security Systems at home and in the office. There isn't anything that I dislike. Changing passwords could be made easier, but I understand that could sacrifice security. You can trust Cisco Security Systems. What Managed Security Services solution do you use? Hornetsecurity is a premium provider of managed security services. Our products ensure efficient and secure communications by email and on the Internet. CenturyLink Security Log Monitoring service includes comprehensive security log traffic monitoring using people, technology and processes to analyze security log traffic 24 hours a day, 7 days a week and includes access to a portal for queries, reports, and other service-related activities. ControlScan protects small and mid-sized businesses with enterprise-grade security tools and compliance services that keep them steps ahead of the cyber criminal. * We monitor all Cisco Security Services reviews to prevent fraudulent reviews and keep review quality high. We do not post reviews by company employees or direct competitors. Validated reviews require the user to submit a screenshot of the product containing their user ID, in order to verify a user is an actual user of the product. Hi there! Are you looking to implement a solution like Cisco Security Services?